While Bonnet still plays some of these tracks today, he plays even more from his sole Rainbow stint... and that for me sums Alcatrazz up. Many people know Graham Bonnet from Rainbow's magnificent 'Down To Earth' album, which shot the singer, who originally considered himself more of a Pop and R&B artist, into Rock's limelight. Bonnet may have only lasted for one Rainbow record and tour, but he left an indelible mark on Rock history with tracks like 'Since You've Been Gone' and 'All Night Long' being included on compilations of Classic Rock material for decades. After Rainbow, Bonnet released a solo album 'Line Up' in 1981 which scored a hit single 'Night Games'. He then joined Michael Schenker a year later for 'Assault Attack', which saw him record another astonishing vocal performance, before he was ejected from the tour after a solitary gig where he elected to expose himself onstage. Bonnet's next move was to form his own band, which consisted of bassist Gary Shea, keyboard player Jimmy Waldo and drummer Jan Uvena. Of particular note was upcoming guitarist Yngwie Malmsteen, a player heavily influenced by Bonnet's former employer Ritchie Blackmore. 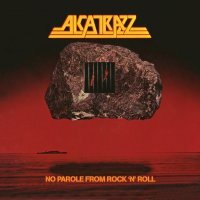 With a Blackmore wannabe on guitar and a former Rainbow singer, the blueprint for Alcatrazz was clear. Opener 'Island In The Sun' attracted some interest with its hooky chorus and Bonnet's thunderous voice powering through the mix. 'General Hospital' is a bit of a non-event, while 'Jet To Jet' is a laughably obvious rip off of Rainbow's 'Spotlight Kid', albeit nowhere near as good. This re-issue features a bonus disk, which is pointless as it simply contains demo quality instrumental versions of the material, and I can think of no earthly reason to want them as Bonnet's voice is the attraction here. I actually found him guilty of over-singing some of them, throwing in all manner of shrieks and bawls, particularly on 'Suffer Me', just because he could. The album comes with new liner notes which detail the formation of the band, photos from the Japanese programme and reviews from the time...one of which is quite scathing. 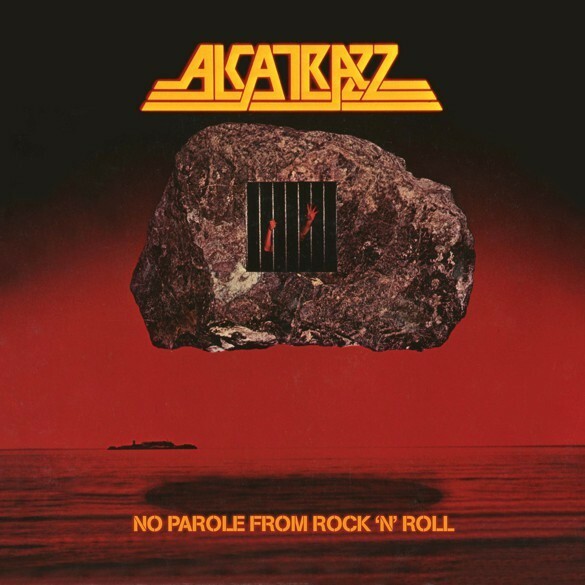 I have to say I'm not that impressed either, and while Bonnet still plays some of these tracks today, he plays even more from his sole Rainbow stint... and that for me sums Alcatrazz up. Mostly agree with this review. The songs are highly forgettable, but I still would recommend this if only for the amazing axe work of Malmsteen.